Many times throughout the years, I have observed anecdotally that people have a higher risk of mortality shortly after retirement. And there’s even some empirical evidence of this. For example, in a study of past employees of Shell Oil, the mortality rate was significantly higher for subjects in the first 10 years after retirement at age 55 compared with those who didn’t retire until later (http://www.ncbi.nlm.nih.gov/pmc/articles/PMC1273451/). Of course, it’s possible that these statistics might be somewhat skewed by the fact that people with preexisting health issues may tend to retire earlier. Nevertheless, I have seen several people in my clinical practice “crash” psychologically after retirement; and the reasons are clear. When you’ve been looking forward to retirement for many years, financially and emotionally, there is probably a lot of anticipation. Perhaps, you’ve been happily looking forward to a newfound freedom to pursue the things you did not have time to do while you were working. It’s likely that the first few weeks will be exactly what you expected they’d be. But after a month or two, you might find yourself feeling bored, unfulfilled, and most commonly—without a purpose and in need of a new challenge. After all, you’ve spent the better part of your life creating an identity around your career and when that is no longer part of who you are, you may be surprised to feel a very unexpected and difficult void. Retirement, indeed, is the time to do the things that you didn’t have time to do when you had to spend your day making a living, but it’s not that simple. Sure, you can take the golf lessons you never got around to or go on a vacation or two you’ve planned, but retirement could— and for many needs to— be a time for more than that. It can be about elevating your life from a place where you were busy juggling your roles as a working person to one where you can tap into to your true passions. This might be in the form of taking courses to learn something new, volunteering to do something you love to do for a cause you believe in, starting a new career or business doing something you really enjoy (many people do happily this when they retire), teaching or mentoring someone. If you’re able to give back as you pursue your passions, this can add an even greater dimension of fulfillment to your life as a retiree. 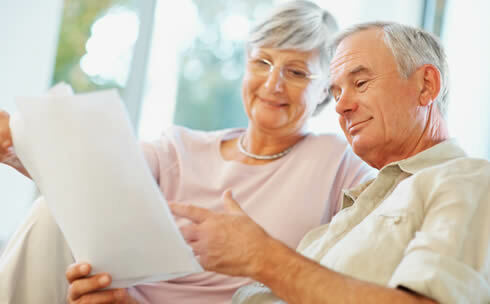 When the high expectations of life after retirement fall short, it can lead to a myriad of difficult feelings you may never even think to associate with retirement, not to mention difficulty in maintaining a positive outlook about the future. So with these thoughts in mind, what could you do to have your life completely and absolutely on track for the fulfillment you expect after you retire? Make a list of whatever comes to mind. There may be some items you have listed that will be above your means. So when your list is complete, choose those things that you could actually do with your present resources. Chances are there is a passion or two waiting to be fulfilled. And as many have discovered, that’s the secret to a long and satisfying retirement. Once you identify your true calling in retirement, it can truly be a fresh start for you. You may even be surprised at how much life has to offer when you are doing what you’re passionate about. You will feel motivated, challenged and best of all, find a renewed zest and purpose in life. And this is a great window into life at your highest potential! From the day of your engagement until your walk down the aisle there’s a lot to celebrate as you plan your wedding. There may be an engagement party, bridal shower, or bachelorette party. Maybe you make an event out of buying the perfect dress or choosing the perfect outfit for your engagement photos. While these occasions are meant to be full of joy, they can also cause feelings of dread if you are a body-conscious bride. When the spotlight is on you, it’s easy to let what would normally be minor body insecurities become intensified during all of the wedding events. If your impending nuptials are what you need to jump-start a diet or revamp your exercise routine, it’s a great time to get back on track. But if the stress of wanting look and feel your best on your wedding day begins to consume your thoughts, it could put an unwanted damper on the joy of this special time in your life. Think about what you can change, and what you’re better off accepting– If you’re not completely satisfied with your body, list what you like and dislike. Circle those features that you’re both willing and able to change, and cross out anything that’s beyond your control or beyond the effort and resources you’re willing to spend. You might want to look like a supermodel, but first consider if it’s realistic to invest the discipline and energy that goal would require. If so, go ahead and hire a trainer or see a nutritionist. If not, let it go. Buy a dress that looks perfect on you as is and resolve to accept your body as it looks today. The person marrying you was able to accept you when he or she made the decision to commit to you, now it’s your turn to give yourself at least that much acceptance. Who really notices and so what? Quite often, we notice things about ourselves that other people don’t, unless you point it out to them. Chances are when you’re walking down the aisle; your guests are sharing in your joy and happiness, not focusing on a few extra pounds or some other obscure imperfection. And if there’s a guest at your wedding who is focused on your weight, is that really your problem or theirs? And does it really matter in the grand scheme of things, anyway? Most of all enjoy this special celebration of love and those around you who came to share in this special day for you and your partner. It’s a ceremony and a celebration about spending your life with the person you love. Don’t let self-consciousness cause you to lose sight of the big picture, which is what you wedding is really all really all about. When it comes to adult children who have “failed to launch”– either returned home after being away to college, an attempt to leave the nest to live on their own or who have never moved out to begin with—there is generally a variation of one or both of these two scenarios: For some of these young adults, the current economic climate has prevented them from getting jobs and having the financial security to move out on their own. Some may choose to go back to school, and/or do a reevaluation of their long-term career goals. In this case, they are in a transition period, to hopefully figure out what to do with their life given the reality they face. They are simply using their “safety net” because they are not yet ready to support themselves (they might even be accruing debt) and the safety net is there. Myth #1-My child will outgrow it– This is not to say that young adults won’t continue to mature as they grow older, but many adults become stuck at lower developmental stages as they age chronologically. Some may still act like children or adolescents around the house and may not outgrow these behaviors naturally without specific strategies to get them back on track. As a parent, you can help provide your children with guidelines to help them move forward, which recognize that childhood is over. For parents it’s great if you’re in a position to give your kids a safety net, but crucial that you don’t allow them to become too comfortable for their own good. Maybe your child is unable to be responsible for the totality his or her personal finances, but he or she can still be expected to take care of basic needs, like food, spending money and taking care of hygiene issues (such as doing their own laundry! ), etc. Myth #2-I’m helping my child– Many parents don’t understand that in the long run they’re not helping their kids by making them too comfortable. At some point in the future, your child will have no choice but to learn to live without you. While you may know this intellectually, it can sometimes be difficult to foresee this and connect it to how they are presently functioning. Now is the time for your adult child to learn independence— in gradual steps, if necessary—and while still having you around for guidance. Our final phase of parenting is to teach our children how to take care of themselves, so that they can eventually become your emotional equal. You’ll always be the parent, but they need to grow and go in their own unique direction, if ever they are to reach their potential. Myth #3-If I make them feel unwelcome, they will think I don’t love them-Insisting that your child “act his age” is actually an organic labor of parental love and really quite natural. Think about the mother cat. Cats are incredibly nurturing to their kittens, but there comes a certain point—and the mother cat knows this instinctually— where they finally say “enough” and shoo the kittens away. The kittens may try to come back for more nurturance, but rather quickly and efficiently, they are forced to make it on their own. Eventually, the kittens can interact with their mother again as adults, but with the empowerment of no longer needing to be nurtured. As humans, we have to do a version of this as well. When children are deprived of the opportunity to try things on their own, it can subtly, but severely erode their self-confidence; and self-confidence is crucial for optimal success in every area of life. Their fears about being independent and making it on their own only get worse as this is put this off. It may not be easy at times to provide this brand of often tough love, but once you recognize the power you have to “gently nudge” your child into adulthood so they can reach their potential, the rewards to both of you will be unmistakable! 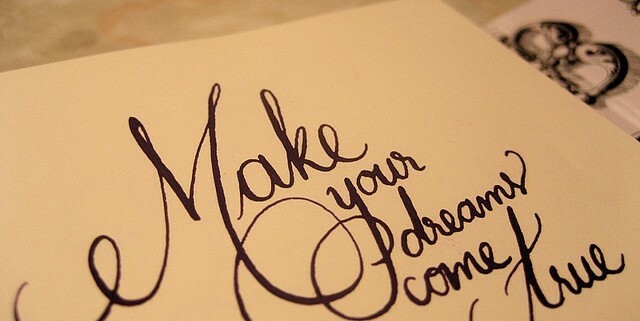 Do you have many dreams you’d like to make come true? If there’s so much you want to do but in reality, so little time to do it, the feeling of overwhelm itself can actually hold you back from accomplishing any of your major goals. If this increasingly prevalent state of mind speaks to you, here’s a simple strategy to help you see results materialize in the shortest time possible! • What is the goal? • When do you want it accomplished by? • Where is it to take place? • And perhaps most importantly…Why do you want to achieve this goal anyway? • What needs to be done first? • Is the order or priority your choice, or is this the way it has to be done for some logistical reason? • Are you reacting to someone else’s priorities or your own? • What logistics or other arrangements need to be taken into consideration in order for you to accomplish this goal? • Are there any potential obstacles or new issues you may not have previously recognized, that might have come up as a result of asking yourself these specific questions? STEP THREE-Visualize the end result. Close your eyes and imagine your goal having been fully met. See the sights, hear the sounds, smell the smells, and feel the sensations of your goal—no matter what it is—actually being met. Take as much time as you need to do this. Take note of how you feel about the prospect of having reached your goal (notice, I put it in the past tense). Now notice if this goal is still as important to you as it was just before this visualization. If not, you may want to rethink it. On the other hand, you may even wish to make it a higher priority, because you’ve have just used your senses and emotions to give yourself a preview of how reaching this goal will affect you once it actually is accomplished. When visualizing a goal being met, always imagine yourself succeeding in the best possible light; and think of your vision of success as a rehearsal for the real thing. Practically every major achievement throughout history was a result of someone’s vision. So remember to consciously visualize the endpoint of any goal you are striving to reach. If you do, it will probably become a habit you cherish. After completing these three steps, you should have a clearer vision of how to begin to take on almost any challenge that’s important to you. For more suggestions on how to live the life you visualize for yourself, check out my latest book Stage Climbing: The Shortest Path to Your Highest Potential. And remember: the clearer your vision, the closer you are to making that vision a reality! No one is perfect. And we all have numerous characteristics that comprise our personalities and abilities. But for some, that nagging voice in your head that points out your flaws might be drowning out your ability to truly reflect on and appreciate all you have to offer. The first step toward building a permanently positive self-image is first to recognize, then conquer your self- defeating beliefs. List #1-First, think about some of the ways you undermine your own self-image, and how it costs you that precious self-confidence that you know could help you excel in virtually any aspect of your life. What are some of the things that you do or attitudes that you’re aware of that sabotage the way you think of yourself? Begin with a list of self-defeating beliefs and include all of the ways in which you put yourself down. This list can also include things you don’t like about yourself in virtually any category or part of your life. List #2-This list is of things about yourself that you are proud of and that you feel good about in any part of your life. What are you successful at? What do you do well? What would you like to brag about if given the opportunity? Include anything you have done in which you have excelled— big or small. For instance, these can be aspects of your job or an avocation, exceptional abilities in your skills as a parent, or even ways in which you are highly valued in your friendships. When you look at these first two lists together, you can easily see that there is no one word or phrase that can accurately describe or evaluate all of the aspects of who you are. At the very least, list number two will serve as a frame of reference to help you balance your self-image. List #3-Using your positive List #2 of the things you are most proud of and that you excel at, make a final list of one paragraph success stories. For example, these are things you would most like to be remembered for many years from now. Finally, take the success stories you’ve created and keep them as positive perspectives, especially during those times that List #1 is vying for your attention. Never forget that no matter who else is in your life, you will always be your most reliable source of support and that you are as worthy of happiness and self-respect as any other human on earth! There are a lot of things you don’t miss. This might come as a surprise, but I’ve never met anybody who wanted actually wanted their ex back! Usually what people want is a loving, cleansed, varnish-free, more enlightened version of their ex. And unfortunately this fantasy doesn’t exist or you’d still be together. If you were the one who ended the relationship, remember you did this for a reason! Something wasn’t working with your ex partner or the relationship you had. If it wasn’t your choice to end the relationship, you might be missing a version of your ex who loves and appreciates you more and can pull off a better way to dealing with conflict than running out the door. It’s easy to reflect on the positive parts of a person or a relationship once it’s ended; but remember, that’s only one part of the story. If you’re missing parts of the relationship, don’t forget about all the things you don’t miss. There’s a moral to your story. The end of one relationship is a great time to take a look and rediscover what you really want. Whether or not you’re willing to admit it, the relationship ended because it wasn’t working. And if your relationship was working only for you — that’s not enough. The good news is there’s probably a lesson to be learned. Was there something you discovered about yourself regarding what you want or need so that your next relationship isn’t a repeat of this pattern when you’re ready to move on? While things are fresh in your mind, make a list of these insights and resolve to follow them in this most important part of your life. And if you find that you are labeling yourself a “failure” or putting yourself down in some other way; remember that relationships don’t fail, they run their course. Sometimes one or both partners outgrow each other or the relationship ends for one or more of a million other reasons. But it’s your choice as to whether the breakup remains a source of pain for you or an invaluable basis for personal growth. You now get to focus on yourself. Being single frees some space for you to reconnect with yourself and perhaps others in your life that you may have had little time for. Maybe with the gift of time that follows a breakup, there’s a new area you’d like to cultivate: a hobby you enjoy, a project around the house you’ve been putting off or a trip you’d like to take that didn’t fit in with you ended relationship. There’s no better time to start than today! Discover new outlets. What is it that you liked about your relationship? Is there a way to find or replace that in your life with something else? For example, if it was nice to have someone to debrief your workday with each evening, maybe you can reach out to friends or coworkers to meet for happy hour after work or grab dinner. If there was a certain activity you liked to do with your ex, find a way to continue this. Perhaps join a group of people in your area with similar interests to yours. If you and your ex went running on the weekends or enjoyed seeing movies, join a running or film club. Even more importantly, don’t be afraid to try certain activities by yourself that you may have only done as part of a couple; such as going to a nice restaurant, the theatre or ballet. We all have the power to pick our attitudes. Look upon being free of a relationship that wasn’t working as a good thing. Expect sad moments here and there, but don’t forget that the relationship you’re ending was not without pain either. By utilizing your inner resources and the sources of support you already have around you, resolve to make this breakup the start of an exciting new beginning! When your involvement in a relationship is not mutual, the result can be painful for both of you, but especially for the one who is more committed to the relationship. Unrequited love —one of the most popular movie and novel themes—has indeed been known to trigger extremely painful emotions. Sometimes just the recognition that your relationship comes under this category is all that is needed to help you make some necessary choices. Sometimes it’s to stay in a relationship that most would define as “unworkable“, but more often, it means getting out. Most people I’ve seen as a psychologist over the years, start by demanding change in the other person that will—at last—make involvement in their relationship mutual. Occasionally, they do get what they want. But changing your partner’s attitude toward you without his or her consent is the only route that’s truly impossible. 1. You might tend to be love-prone. By that I mean you consider yourself a person who habitually falls in love in such a way that you act as though you have no control whatsoever over your emotions. You may even feel as though you catch “love at first sight” almost as though it were some kind of virus. Sometimes it is great to have feelings that are fantasy-based about being involved with someone in a spontaneous way. But the downside is when you realize, but refuse to accept the reality that whatever it is you are fantasizing about won’t go any further. It’s only when you insist that your fantasy must go further than reality dictates, that things become painful. Love-junkies spend a lot of time being hurt, until they move on after accepting the reality that having what they fantasized about is just not going to happen. 2. You might have a preoccupation with vulnerability in relationships. Although it has been romanticized that being vulnerable is the way to go, vulnerability also means weakness or the inability to choose. In fact, the word “vulnerability” literally means weak. The best couples are those who can feel strongly and deeply for each other while standing on their own two feet. When you give up your autonomy along with the ability to choose to leave—if that becomes necessary— you open yourself to being exploited by the other person and/or your own painful emotions. 3. You could be ambivalent about commitment. On the one hand you want it and seek it; on the other hand you pick the kind of person who gives clear and early signs that commitment is not really for him or her. So think twice about dismissing those signs when they are present. 4. Maybe your self-esteem depends so much on being in a relationship that anyone who gives you the slightest hope of involvement makes you “smell” love and ignore the realities of who that person is. In this case, it’s your self-esteem that’s the culprit. As you work on that, see if the person still interests you. Perhaps long-term or committed involvement is not what you want, but if it is, recognizing the one-sided nature of the relationships you enter and your patterns in these relationships can help you take a step back, and allow yourself to find the relationship you’ve been hoping for. In my book Can Your Relationship Be Saved? How to Know Whether to Stay or Go, you can find help in either getting out of an unfulfilling relationship, or work on the one you’re in to make it a relationship that’s more mutually fulfilling. For some couples, the decision to have children is something that was discussed long before marriage—in some cases; I am told, on the first or second date ! But for many couples, deciding whether or not to have children can be one of their most daunting issues. With couples getting married later and women much more likely to have career dilemmas, the choice of whether or not to have children is often more urgent, since there’s so often a smaller window of time when women can safely conceive. Because this is one of life’s few decisions that is irreversible, it’s one that cannot be taken lightly or be made with haste. The argument for parenthood is in many ways obvious: Parenthood can be infinitely and intrinsically rewarding on countless levels. There is no bond quite like that between a parent and child. And the experience of parenthood allows you to give in ways that are unique to this special relationship. Having children can also create a special bond between you and your partner as co-parents and ultimately lead to the incomparable joy of having grandchildren later on. It also allows you to see the world again through your child’s eyes, which can be extremely fulfilling—even when your children become adults. Raising a child is also an enormous task; and its intensity cannot truly be imagined until it’s experienced. Every aspect of your life will change when you have a child and parenting will account for much of your time. There are years when it may even define you! If you’re still not sure, the best advice is to work on this crucially important decision until you are less ambivalent. I also offer more guidance and some case studies on this subject in my book The Art of Staying Together. Bottom line: Having a child—when it’s what you and your partner truly want and have a loving home to provide—could be the most meaningful aspect of your life and the best contribution to the world that you can leave behind. But go into it with your eyes open. If it’s more accurate to describe your relationship as one that is or was grounded in comfort or day-to-day living, perhaps a better metaphor than fire is that of a business. And if so, do you need downsizing? Refinancing? New management? Or are you ready for bankruptcy court? For many years, I had searched for a foolproof “litmus test” that could save people from the pain of fruitlessly trying to revive a relationship that has virtually no chance for success, as well as from abandoning troubled relationships that could be turned around if only the partners could see that proverbial “forest for the trees”. Now, let me give you the good news. The inventory that you are about to take comes about as close to a litmus test as anything out there, as many colleagues of mine who have used it have told me. I put together this inventory — I call it “Can Your Relationship Be Saved?” — for my book, by the same name. Since then, it’s been used by scores of mental health professionals with their clients/patients — with good results. So think of it as a “heads-up” — to make you aware of some of the warning signs that exist, and to help you to see them and to make the choices that lie ahead. Your self-assessment could lead either to the healing and even deepening of your relationship, or the straightforward decision to end it. My partner and I no longer feel like friends. My partner and I have developed a very strong wall that separates us. I am constantly thinking about how nice it would be to have an affair. When my partner and I fight, it gets nasty and I am left with feelings of wanting to get out. My partner has told me at a time other than when we were in the middle of a fight that he or she would be happier if we split up. I am unwilling to accept my partner as he/she is. If this relationship is to continue, he/she will have to make some very major changes that he/she is unwilling to make. I would leave this relationship in a heartbeat if I felt confident that I could make it on my own or if I knew I could get through the painful transition of a breakup. Although I no longer love my partner, I feel responsible for him/her. I think the only thing that is really keeping me here is guilt. My partner and I fight a lot and I fear that underneath the fighting there is not much left. When I am about to be around my partner and I think of having to spend time with him/her, I get an empty feeling. My partner and I are just no longer playing for the same team. The more time goes by, the more I begin to dislike my partner. My respect for my partner is practically or totally gone. There is very little trust left in our relationship. I constantly fear my partner’s abusive behavior. If it happens again, I am leaving. I can only tolerate my partner if one of us is high on alcohol or drugs. If I could afford it financially I would leave. My partner has an emotional hold on me. I would love to leave but feel too hooked and addicted to the relationship. to stay and it is creating a very unhappy situation for me. refuses to enter counseling or therapy. My partner has told me that he/she does not love me anymore. My partner has done something for which I cannot forgive him/her. This was the straw that broke the camel’s back. can even begin to address them. sometimes I just want to give up. I will not tolerate it. I feel closer to my partner when we are not together. my partner and our relationship. This relationship has become a constant burden. If I knew I could find another mate, I would leave immediately. to try and work things out. My partner and I are totally inflexible with each other. At this point, there is just too much water under the bridge. When I think of leaving my partner I feel relieved. he/she will commit suicide if I do. to stop as long as they are all in the same environment. This relationship does not allow me to grow. My partner does not fit into my future plans. I want to leave but, I cannot see myself pulling it off— I am stuck. I need my partner much more than I love him/her. I love my partner but am not in love with him/her. We have tried everything and nothing seems to help. Many of these items are self explanatory, but for a better understanding of what your answers could mean as well as the degree of risk associated with them, click here and scroll down to “Evaluation of Inventory.” Hopefully this can be an important step in your journey to determine the future of your relationship. I recently read an editorial in Philadelphia Magazine about parents demanding too little from their children. The author opined “we have caved in to the foolish idea that being a good parent means being nice to our children, and making their youths as pleasant and free of stress as possible. We want them to win at everything, from dodge ball…to grades, no matter if they’re lousy on the playground or lazy in the classroom.” I agree with the sentiment that modern parents are often too concerned with protecting their children from the sometimes-unpleasant realities of life; and in 38 years of practice, have seen the consequences of these good intentions play out in every conceivable way. As children grow up and go out on their own; bosses, coworkers, spouses (to an extent) and others they will have contact with may no longer put your child’s happiness and self-esteem high on their agenda. And happy or not, this is a huge wakeup call for which many children are not yet ready. Parents can prevent their children from having a rude awaking by taking into account the child’s developmental level when balancing nurturing and limit setting. This way, by the time children leave home, they will be much better able to face the world with confidence and competence. By tailoring parenting attitudes and behaviors, parents can learn to effectively foster independence in their children. And in many cases, the sooner the better! During the first year of life, your goal as a parent is to provide unconditional love, care, and safety. However, once your child begins to develop mobility, your principal tasks as a parent are to let the toddler explore, while teaching, setting limits and minding his or her physical safety. Most important (and at times most difficult), is not to act out your own frustrations and emotions, especially anger onto your child. This period can be thought of as a trial run for when your child becomes an adolescent, a stage that is a lot less demanding physically, but can be much more demanding emotionally. In other words, be mindful of not losing it with your two year old, simply for acting like a two year old! In early childhood, your role changes to providing a solid structure and resolve to do whatever it takes to patiently teach those complex yet basic rules of life. By providing loving guidance along with appropriate discipline, children have the best possible environment to learn all about what it takes not only to fit in, but also to thrive and begin to discover their own uniqueness. This is a time many parents have difficulty staying firm with their children. But providing them with consistent consequences is essential training, because the child will face a world full of consequences in the future. During adolescence, your primary task is to encourage self-exploration, while carefully and lovingly setting limits and letting go enough to allow your adolescent to make his or her own mistakes. The task is to do this while remaining a safety net and a source of love, support and guidance that he or she can turn to as needed. However, it’s also crucial to provide discipline and even “tough love” whenever an adolescent child crosses the line. This could be your last opportunity to be the principal source of influence for your child. Finally, children inevitably leave the nest. Maybe they are leaving for college (an intermediate step) and/or moving out on their own. At this point, chances are whatever they have not learned from you—regardless of whether or not that was by choice—they will choose to learn elsewhere. If you find that you still have a need to control their lives, this is the time to let go! If you simply let them know you are still just as approachable, chances are they will choose you to be a resource as long as you honor the rights of your adult children to be independent and different from you. This way, you will command respect, without having to demand it. By maintaining a balance between love and support with developmentally appropriate boundaries, children will grow up to be successful in navigating the world and accepting the realities that come with adulthood. They will be able to grow in their own direction, and be successful in a world where everyone doesn’t win, and we don’t always get exactly what we want. for living your best life!